If you are in similar situation and looking for solutions to recover deleted photos from Android Gallery. Here we provide 4 feasible ways to restore your deleted photos from Gallery, you can pick the right one according to your personal needs. Ways to recover deleted photos can be multiple, but the easiest way is doing the recovery on Android device using a recovery tool, instead of turning to some so-called tricks or recover photos by connecting device to a PC or Mac. 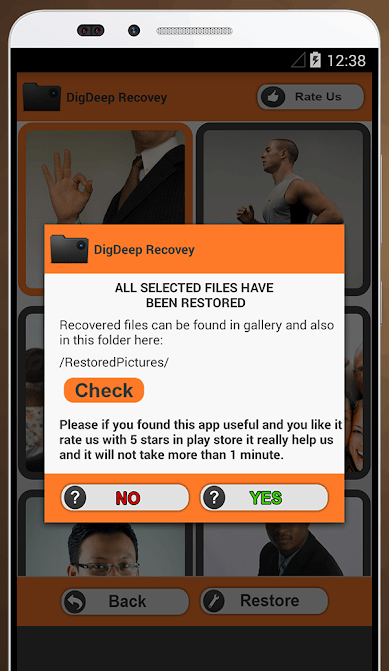 While, the recovery app we recommend to recover deleted photos from Android Gallery on your Android device is DigDeep Image Recovery. 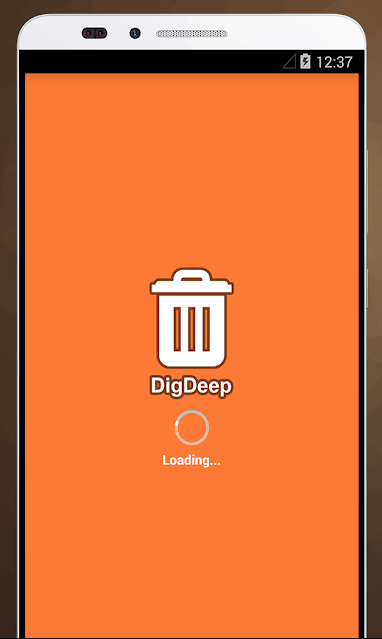 DigDeep Image Recovery is highly-rated application in Google Play, it is designed to recover different types of photos from Android Gallery, no matter your deleted photos are saved in internal or external memory card. Click “Restore” to get deleted photos from Android gallery back. You can find the recovered photos in Android gallery or in the designated folder. To recover deleted photos from Android gallery with computer, we need a dedicated program. In light that our readers are either Windows user or Mac user, here we recommend 2 programs respectively. 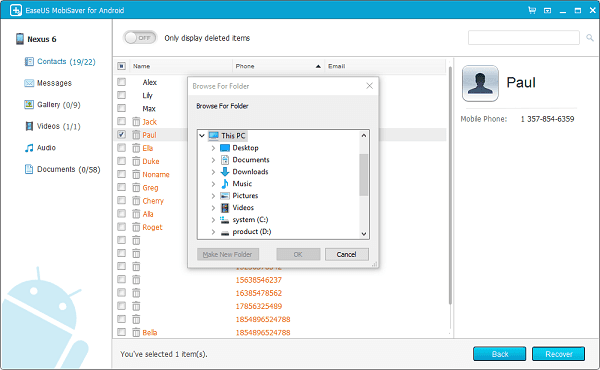 EaseUS MobiSaver for Android is a free application to recover deleted photos from Android gallery on Windows. Not only limited to photos, this program allows to recover various files, such as lost messages, contacts, music and videos. 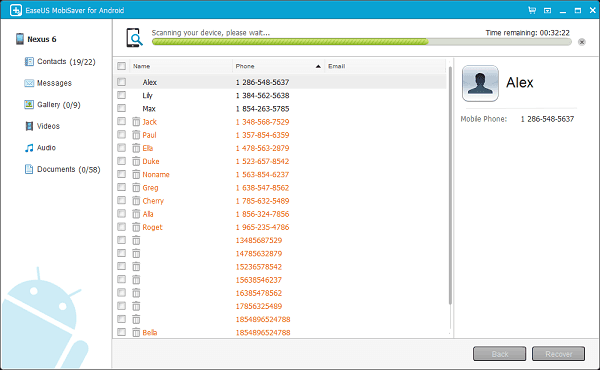 Download and install MobiSaver on your Windows PC. Connect Android device to your Windows PC. Scan the photos on your Android device and preview the found files. Check the box before the photos you want to recover from Android gallery, then click “Recover” to get them back. While the tool we recommend to recover deleted photos from Android gallery on Mac is Disk Drill, which enjoy large popularity in the field of data recovery. Disk Drill is a powerful Mac data recovery software to recover files from Mac, iPhone, Android device, digital cameras, hard drives, memory cards and more. It allows users to recover photos, contacts, messages, videos, music, documents and etc., no matter the file is deleted or lost due to sd card corruption, virus attack, system failure or others. Connect Android to Mac and give Disk Drill access to your device. By viewing prompt on your Android phone. 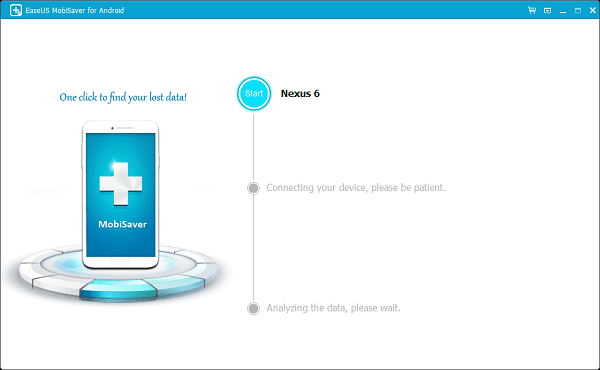 Root the Android device to proceed on data recovery. Check before the files found by Disk Drill. 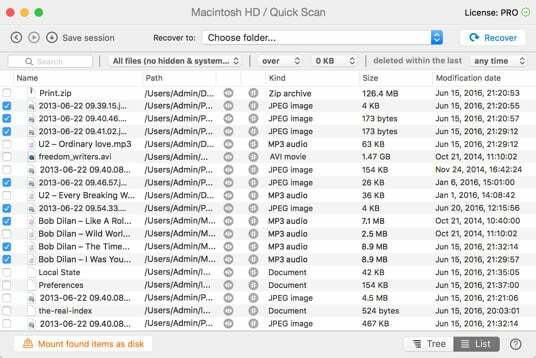 Click “Recover” to restore deleted photos from Android gallery on mac. 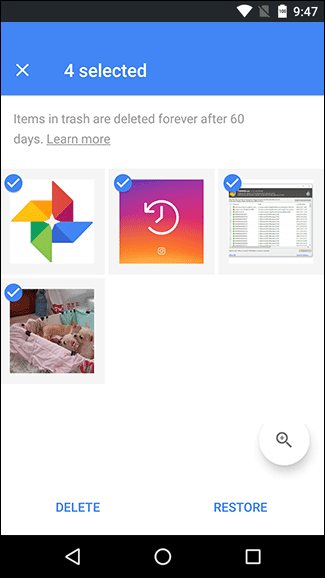 If you have installed Google Photo app on your Android device to manage your photos and gallery, you might be able to get them back. All the deleted photos are moved to Trash and kept for 60 days until the permanent deletion. If you didn’t permanently delete those photos and still within the expiry date, go to Google Photo to recover your deleted photos from Android gallery. 3. 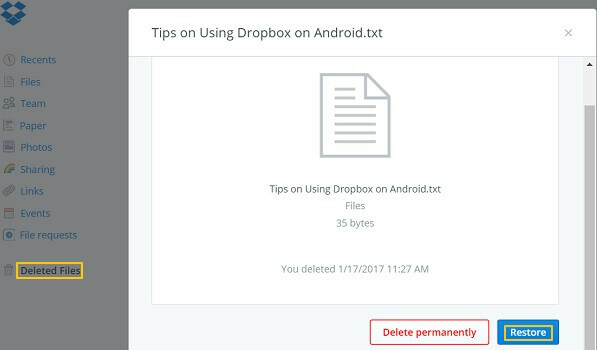 Tap on the deleted photos and choose “Restore” to recover deleted photos from Android gallery; Notes: If you have permanently deleted the photos in your Trash, you will need to recover using professional tools mentioned in Part 1 or Part 2. The Cloud storage services are so convenient and many users prefer to backup files onto the Cloud. If you are one among these, you can recover your deleted photos from Android gallery via Cloud backup. Since most of the Cloud services provide web, PC and mobile versions, users can do the recovery according to personal needs. Open Google Drive app or login online. Click on the 3 dashes on the top left and choose “Trash”. 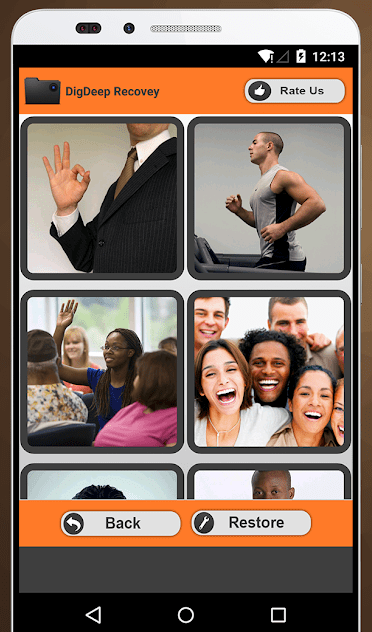 Select the deleted photos and click on the 3 vertical dots on the bottom right. Tap on “Restore” to recover your deleted photos from Android gallery. Select the deleted photos you want to recover and choose “Restore” to get back your deleted photos from Android gallery. Open OneDrive app on your Android phone and login into. 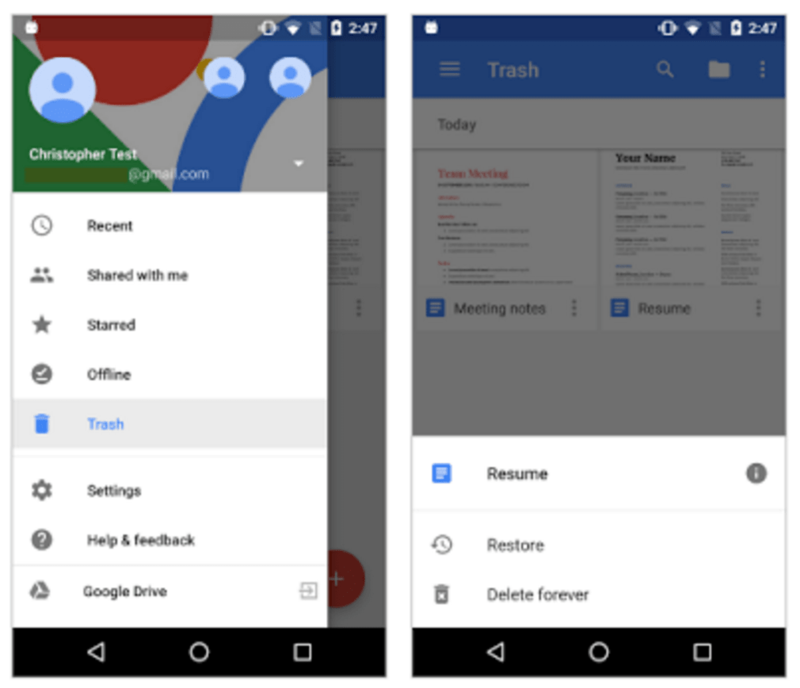 Tap “Me” icon and go to Recycle bin. In the Recycle Bin, select the deleted photos. Then click “Restore” to recover deleted photos from Android gallery. Basically, we cover all the feasible solutions to recover deleted photos from Android device in this post. 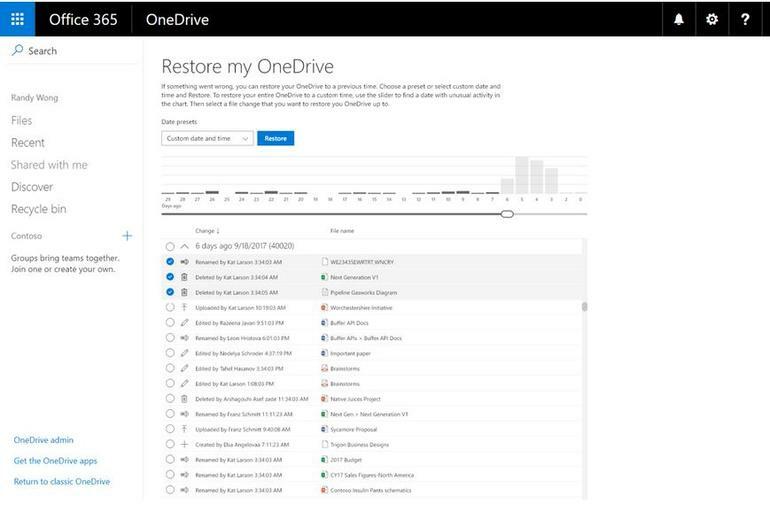 The most efficient way, according to a great part of users, is using a dedicated recovery tool to get the files back. If you are just looking for an expedient to get back photos, you can use the recovery app for Android; if you are looking for a long-term solution for data recovery, a PC or Mac data recovery program will be a better choice, they help to recover more files, including photos, videos, songs, documents, etc.